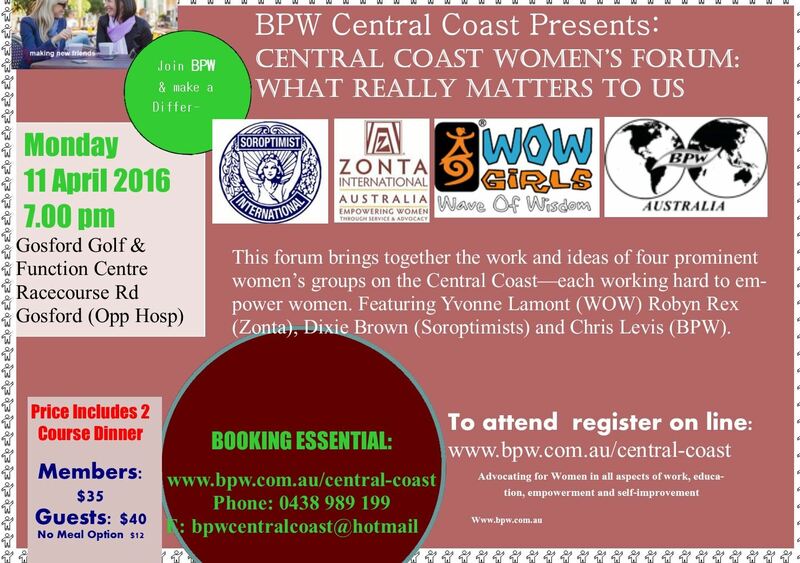 What really matters to Central Coast women? How are Central Coast women's groups driving change and empowering women? Four speakers from four prominent women's groups located on the Central Coast share their vision - Yvonne Lamont, Robyn Rex, Dixie Brown & Chris Levis.